Singapore — Park Hotel Group (the “Group”) is pleased to announce that it hasentered into a conditional Sale and Purchase Agreement with Ascendas Hospitality Trust (“AHTRUST”)on April 5, 2013 to sell Park Hotel Clarke Quay (the “Hotel”), at a purchase price of S$300 million. Park Hotel Clarke Quay is an award-winning hotel in the vibrant Clarke Quay area, situated on aprominent site along the bank of the Singapore River and strategically located near RobertsonQuay, the Central Business District, Orchard Road, Marina Bay, the Civic District and Chinatown. Italso enjoys excellent transport connectivity with proximity to the Clark Quay MRT station and thefuture Fort Canning MRT station. The Hotel consists of 336 guest rooms and suites and is the first green field hotel project by ParkHotel Group. The Group had successfully bid for the site under URA’s land sales program in 2006for a consideration of S$55.5 million. In a record 15 months construction period, the Hotel wascompleted and commenced operation in 2009. Since it commenced operation, the Hotel has won numerous awards and accolades, including“Best Hotel, Singapore – Highly Commended” (International Hotel Awards Asia Pacific, 2012),“Certificate of Excellence” (TripAdvisor, 2012), “Signature Deluxe Hotel: Hospitality Asia PlatinumAwards 2011 – 2013” (Regional Series, Best 5 in Asia, Gold Winner), “Best New City Hotel” (21stTTG Travel Awards, 2010) and “Best Hotel Construction & Design" (Singapore: Asia PacificProperty Awards 2010). Ascendas Hospitality Trust (“A-HTRUST”) is a Pan-Asian hospitality trust listed on the SingaporeExchange, with a high quality portfolio of 10 hotels geographically diversified across key cities inAustralia, People’s Republic of China and Japan. The deal was also completed with the benefit of a 10 year master lease agreement back to ParkHotel CQ Pte. Ltd and the Hotel will continue to be operated by Park Hotel Group as the ParkHotel Clarke Quay. The sale and leaseback is the first for the Group. The Group continues to ownand operate 7 other Park-branded hotels in Singapore, China, Hong Kong and Japan. Two other hotels are due to open in Singapore in 2015, namely Park Hotel Alexandra and Park Hotel FarrerPark, are going to be managed on behalf of third party owners. 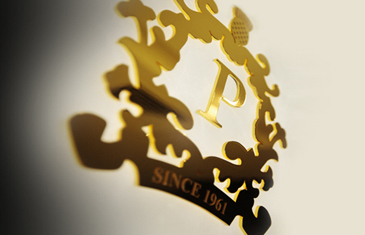 Park Hotel Group is one of Asia Pacific’s best hospitality groups. The Group manages, owns and developsPark branded hotels around the Asia Pacific. Established since 1961, Park Hotel Group grew rapidly fromits first hotel in Hong Kong to the current portfolio of ten properties across three countries and six cities in the region, with access to over 3,300 rooms. Committed to delivering exceptional service with love and passion, the acclaimed Park Hotel Group has established a track record of operating successful hotels. As it strives to be a world-renowned brand inhospitality, Park Hotel Group continues to focus on its footprint expansion through acquisitions and hotelmanagement services. Park branded hotels include the luxury Grand Park and the upscale Park Hotel.Grand Park is a luxury hotel brand synonymous with premium accommodation, facilities, service andcomfort designed for discerning business and leisure travellers. Grand Park hotels can be found in Singapore, China and Japan. Park Hotel is an upscale hotel brand symbolising utmost convenience, personalised services and high standards of amenities carefully crafted to please business and leisure travellers.